AccountsA powerful customer account aggregating all details of the customer profile. BASDRIVEYour online drive, share files without compromizing your security. InvoicingSimplify your billing with our powerful invoicing platform. 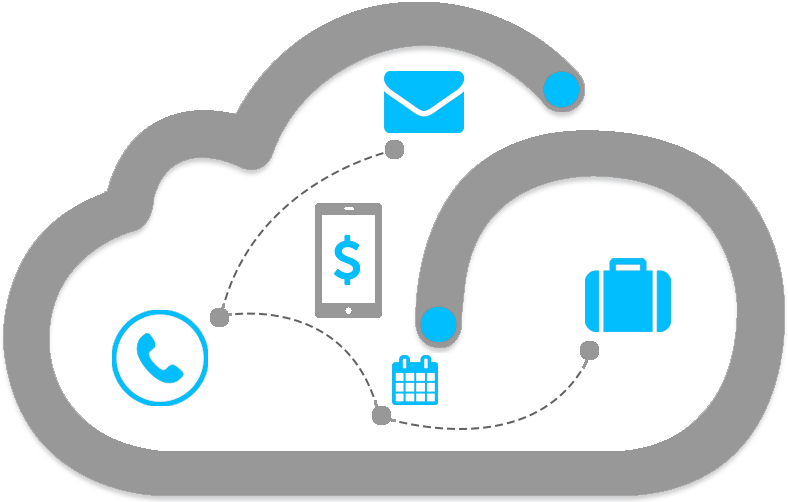 EmailSynchronize your e-mails between your devices with a shared inbox. BASCRM EditorsThe most complete and feature-rich online editors for increased productivity. SupportEverything you need to start supporting customers Project ManagementOnline collaborate in real time for real results! ReportsKnow your KPIs - measure and improve efficiency. Sales ManagementSell faster and better! Put your Sales teams on the winning track. 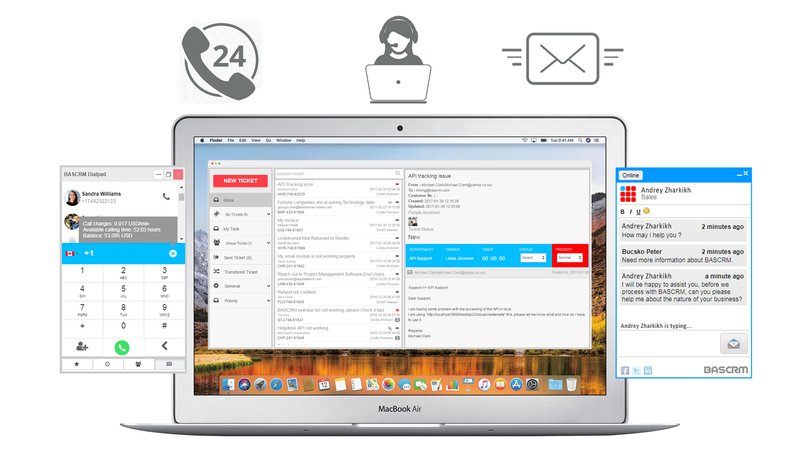 CommunicationCloud Telephony, Call Center and Messaging integrated in you CRM. All activities and results - in one place. All the time. Increase collaboration across your company and skyrocket productivity. Our mission is to help you sell and get paid faster! Simplify your invoicing – including subscription invoicing, payment tracking and payment gateways. My Projects empowers your team to create plans, organize their work, and track personal tasks. Sell faster and better! Put your Sales teams on the winning track with BASCRM. High-grade encryption, share your files without compromising your security. BASCRM is scalable and packed with features to keep your business growing. Our suite of market-leading products helps you increase revenues and decrease costs. Easy and fast to customize to meet your needs. Our constant innovations help you stay ahead of competition. New advanced services help you think about your business in new and different ways. 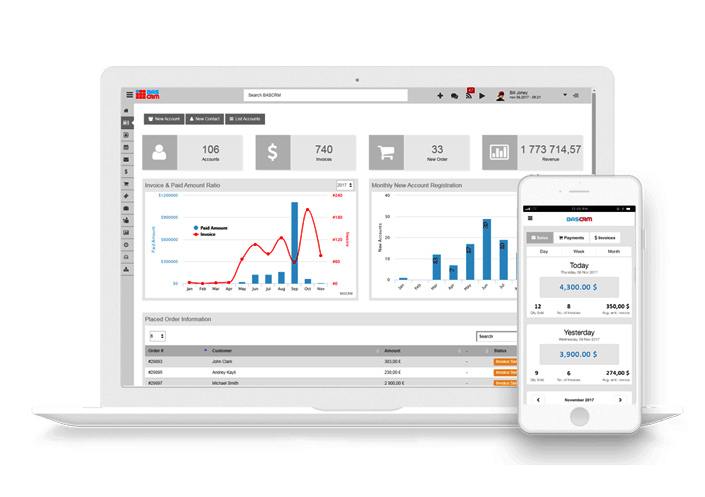 Next-generation CRM software for increased productivity and team collaboration. BASCRM has everything you need to succeed. From onboarding, to quick tips and strategic advice, support is here to help. We offer realtime chat and a host of advisory services to ensure you enjoy the full potential of BASCRM. "Thanks for building an incredible product! 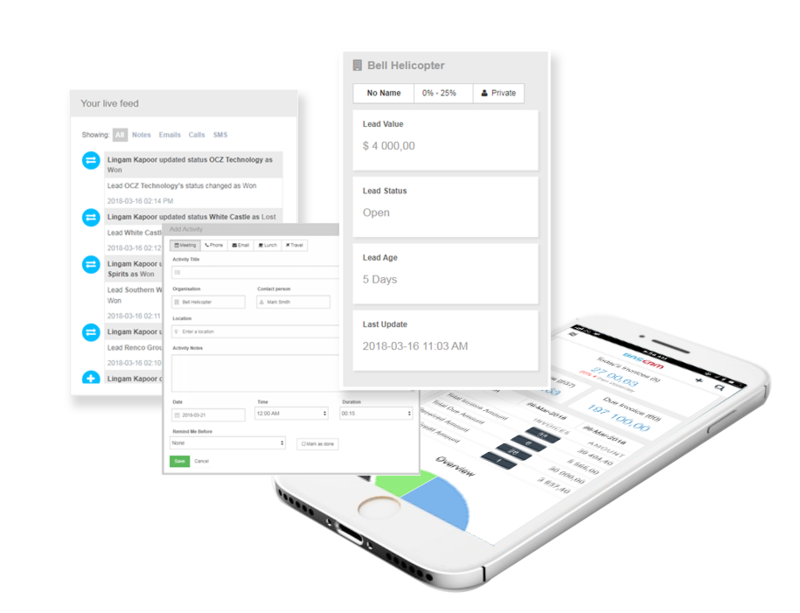 An excellent CRM tool that keeps everything on track." "BASCRM helps us manage our entire processes in one system and were able to actually see what individuals are doing in real time." "We used to struggle to get payments, now we are getting payments much faster by adapting multiple payment gateways all in one system!" Let Us Help You Achieve More. Give us 15 days and we'll show you how BASCRM can help you to increase your productivity and attract new customers.